I really did not know what the liver was, and she never bothered me. And now, like a bolt from the blue, hepatitis. I did not even immediately understand what had happened. Chronic liver disease. First he began to ache a right side, there was a nausea, weakness, and as a result — jaundice. Of course, they put me in the hospital. Have registered a strict diet and course of treatment. And there, in the hospital, I learned that most often after a hepatitis once suffered liver for a lifetime remains a patient. As you know, I did not want this at all, so immediately, as soon as i was discharged, I proceeded to «rescue» activities. The most important is a strict diet. After the illness you need to make the liver as easy as possible. Therefore, for a whole year from my table, all alcoholic beverages, marinades, fried, canned food, smoked meat and chocolate were gone. What did I eat? Vegetables, fruits, cereals, low-fat varieties of meat and fish. Ela, basically, boiled or steamed dishes. With unaccustomed food seemed fresh and even tasteless, but then I got used to it. Still, when I was in the hospital, I was advised one simple recipe, which people use for inflammations of the liver. And after returning home, I prepared this medicine. Take 1 kg of chopped onion, mix with 2 cups of sugar and put in the oven. Heat until a yellow syrup is formed. Take this syrup on a tablespoon on an empty stomach for several months. 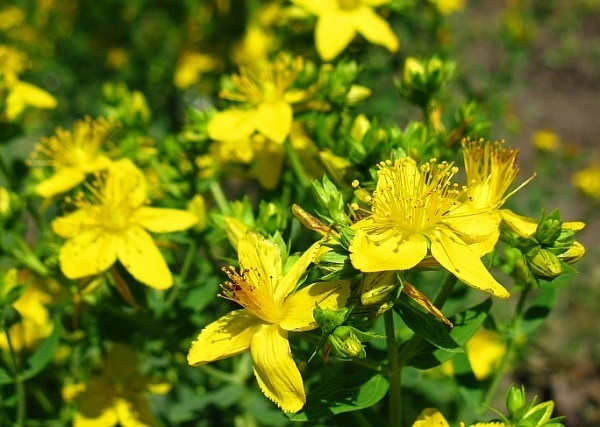 I also learned that the St. John’s wort is very useful for the liver. And she began to make her own tea every day from St. John’s wort: a tablespoon for a glass of boiling water. Saw 3 glasses a day. I was so used to this tea that I stopped drinking ordinary black tea. Later in a newspaper I caught an article about the milk thistle, where it was said that with the help of this herb it is possible to treat the liver. Of course, I immediately decided to try this medicinal plant. But for a start, I began to look for other information about this herb. Also has learned or has found out, that the milk thistle spotty is a good medical plant, it or she was treated since the ancient times by the most serious illnesses, and it is rather successful. Suffice it to say that many of the known tablets for treating the liver have been made from its seeds. True, it was necessary to buy a milk thistle in a pharmacy, as they grow it in a garden, in nature it does not occur. I was treated with a thistle month, then I broke off for 2 weeks and repeated the course. All these measures led to the fact that now, a year and a half after the illness, I feel great, the liver, I think, is also in order, as there are no pains and discomfort. Sometimes I allow myself something «harmful, but tasty,» but for the greater parts I try to adhere to the diet, the more I have already become accustomed to it. Here is a story of saving the liver.